When you only need seating for large groups on occasion, you need our Amish Flintt Pullout Console Table with Hutch, which self-stores extension leaves. Solid wood construction ensures the Flintt Pullout Console Table with Hutch will serve your family for years. 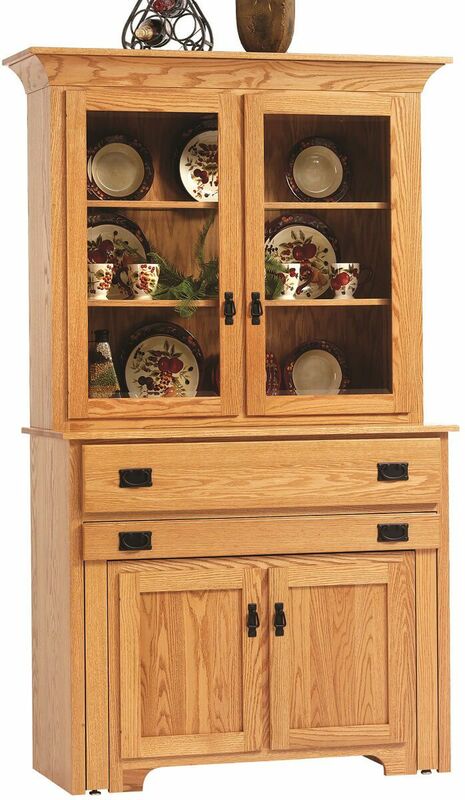 What appears to be a normal 2-door, Mission-styled hutch, actually expands to an impressive 92" hardwood dining table. Each stores carefully within the solid wood console table with drawers for easy access and quick setup. Other standard features include touch controlled display lighting, hardwood front glass shelves, and beveled glass. Choose the hardwood you prefer, then your wood finish and hardware from our online options menu. 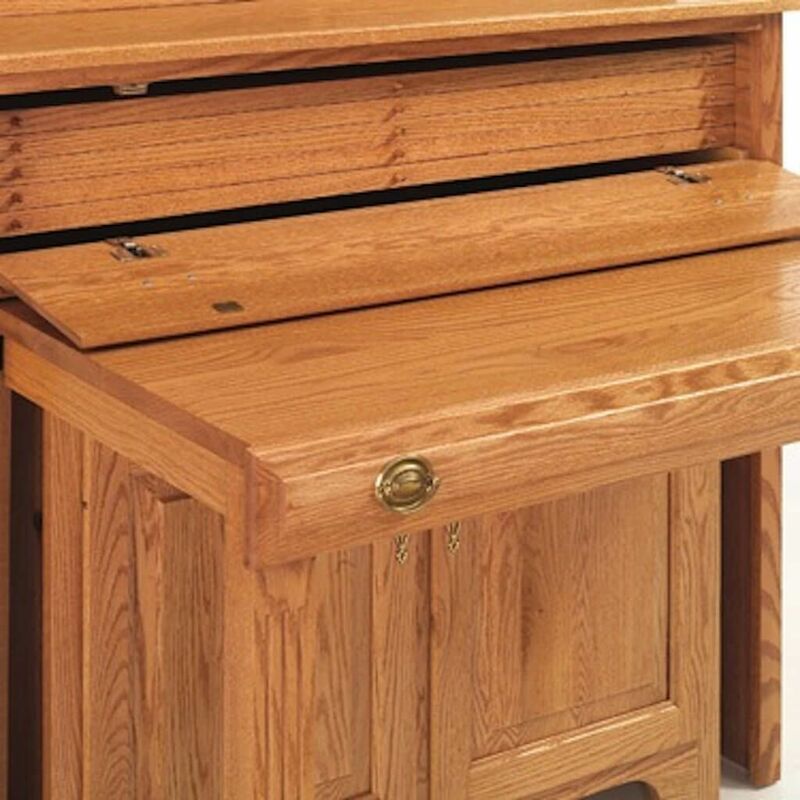 Our Amish artisans will handcraft your hutch with pullout table to your specifications, reinforce every attachment, and coat the entire table and hutch with a catalyzed conversion varnish. 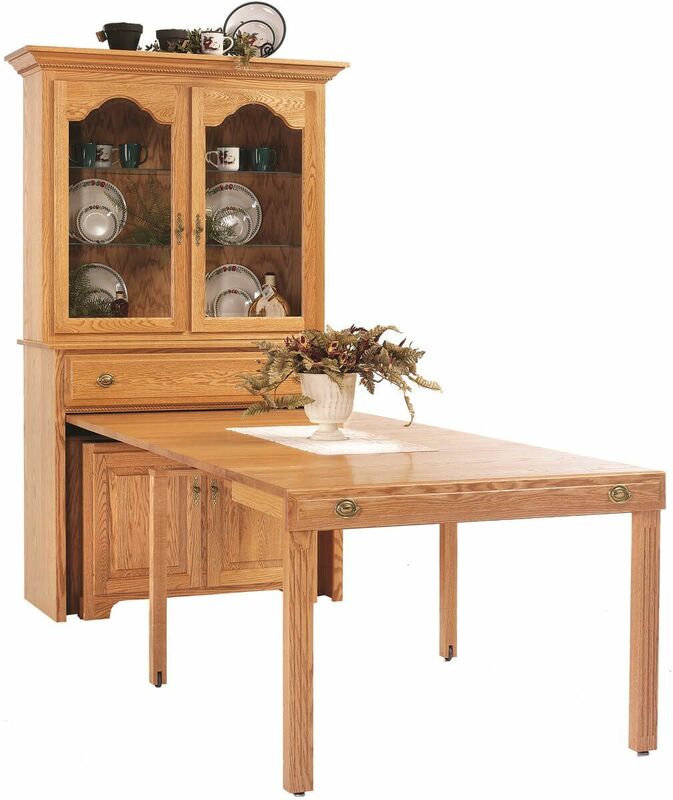 Place this exquisite pullout dining table and hutch in your shopping cart and Countryside will get to work.